Is Tripmule a Search Engine? Tripmule takes your travel search request and matches it to a selection of travel agents who specialise in the destination, occasion and activities you want for your upcoming trip. Travel agents respond to you on a one-to-one basis, and you get to interact with an actual person who can help plan and book your ultimate holiday. No, Tripmule is more of a matching platform; it matches your travel request to travel agents who can plan and book your trip. Once you are satisfied with a travel agent response, you can proceed to make a booking directly with that travel agent. We don't get in the way. 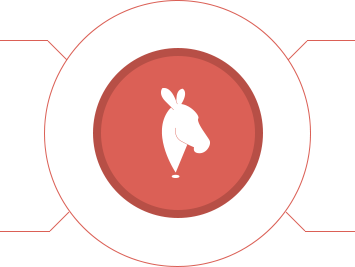 Tripmule was born from the idea that customers deserve service. Whether you are simply buying chewing gum at a local store or a new dress for a wedding, customer service is paramount. Unfortunately with the streamlining and automation of the travel industry, at Tripmule we feel that customer service has been lost! We also believe there is a big misconception when it comes to booking a holiday – people often think that if it hasn’t been booked from "LargeOnlineTravelSite.com" they aren’t getting the best deal, or the best price – the truth is travel providers such as travel agents, tour operators, incoming operators, and destination management companies can in fact compete. to travel providers specialising in the destination you want to travel to!